Just a quick note to say that I hope you all have a great weekend. And, thank you. I don't say it enough, but I really appreciate you all reading. Your emails, comments and the fact that you stop by...light up my day. In a big way. Thank you. Curious...what are you up to this weekend? This is a big weekend for us in San Francisco. There are several events going on- as seen on this map (prediction is 1 million people will come to SF this weekend) but I'm mostly excited to watch the Blue Angels with friends and then head down to the Marina Green for America's Cup. again, thank you for reading and have a spectacular weekend. p.s. 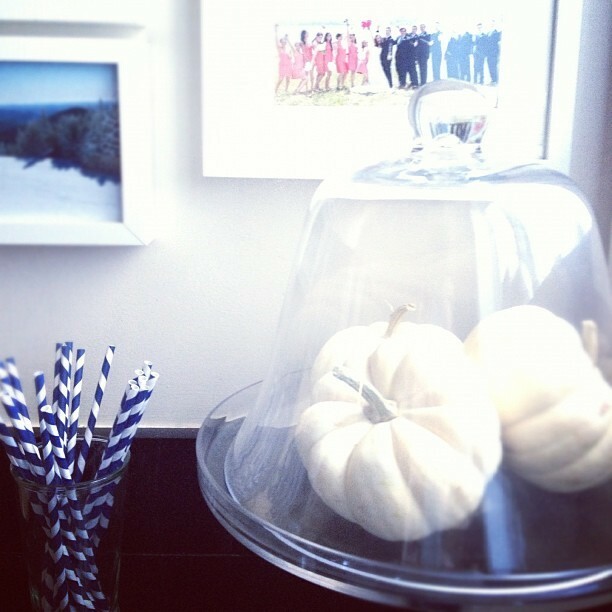 little white pumpkins are slowly emerging around our house & i love it. just back home with white pumpkins, going to paint chevrons for a local shop that has chevrons on their store card! I'm shopping for white pumpkins to decorate my home for the season! i was going to go into the city this weekend - kind of glad i didn't as it seems to have been super hectic!